Back in the summer at Lisa Birnbach’s travelling ‘Prepworld’ pop-up shop for Tommy Hilfiger in Covent Garden, I finally came face to face with some of Kiel James Patrick’s handmade belts and bracelets. I had seen images of his designs all over style blogs and later in Tommy Hilfiger’s ‘Meet the Hilfigers’ advertising campaign. 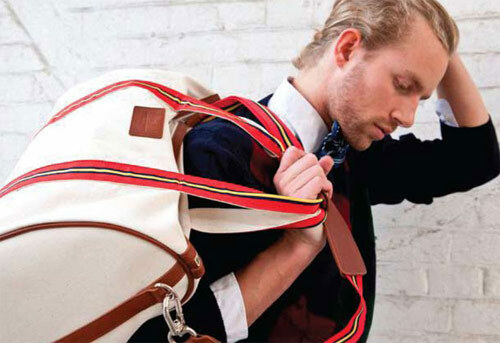 There is a reassuring weight and quality to his accessories, they are manufactured entirely in the US with materials from local suppliers and he is adamant to keep things this way, for good reason since this is one of a number of things that differentiates Kiel James Patrick from his competitors. If this were another, earlier decade there is very little chance I would have ever heard of Kiel and his preppy accessories range. For a small, independent designer to have reached global renown is a great achievement and it seems it is due in part to his savvy use of social media. Kiel is his brand, he embodies everything it stands for, or put the other way his brand is a true reflection of him. There seems to be no line between the person and the brand which I think is his great strength. This is the first decade where advertising and marketing can be played out organically through social networks. Lifestyle photos are shared via Twitter and Tumblr in place of traditional print advertising, reaching a much wider and more relevant audience, one look at Kiel’s Tumblr provides you with a snapshot of his life, a living embodiment of the KJP brand. How did the whole KJP concept come about? Going to an all boy prep school demands you stick to a strict dress code that can get quite monotonous and boring quickly. After a whole year as a freshman throwing on the same blue blazers and khackis I was fed up and needed a change. The following year I decided to finally read my school’s handbook (school had my signature stating I had already read it through and through first week of 9th grade… but what kid in their right mind does that?) finding out the dress code was a little less strict than any of my classmates had all realized. The rules stated you were to wear a button down shirt, “appropriate dress pants”, necktie, dress shoes and a blazer. Images flashed into my mind of Grandpa Henry taking me to the country club as a kid and marveling at all the men who had the audacity to rock brilliant pastel seersucker, bright madras, florals and conversational motif ties all in the same outfit. This “go to hell” look was exactly what was going to bring a bit more amusement to these lackluster days and shake things up a bit. Rummaging through my Grandpa and family’s cedar closets I found an array of bright nautical motif ties, blazers that were truly “blazing”, and pants that Rodney Dangerfield in Caddy Shack would have been proud of. Showed up to class the next day and was a sensation. Thrift stores and friend’s grandparents’ closets were the next victims to raid and soon enough I was wheeling and dealing clothes out of my Jeep’s trunk to bring a bit of country, yacht club peacocking merriment to class. How did your childhood in Rhode Island influence your designs and personal style? Rhode Island is the “Ocean State”. Our license plate has a giant anchor on it. Our state flag is the word “Hope” under an anchor & nautical rope. Newport’s nautical “Old New England” charm offered me an array of lifestyle/décor/style I simply admired. What part do you think British style and its Colonial heritage has had to play on US East Coast style? eg, Scottish plaid (tartan), English regimental stripes, Tweed etc. European Heritage plays a huge role into classic attire. My Grandfather (Enlgish/Irish) and his friends were my first glimpse to classic European lifestyle as a boy. Scottish Tartans, English Repp Stripes, Harris Tweed, Herringbone… I found the clothing/fabrics unique, peculiar and intriguing – while my peers and parents dressed less impressively, these old gents were a walking work of haberdashery art on legs. 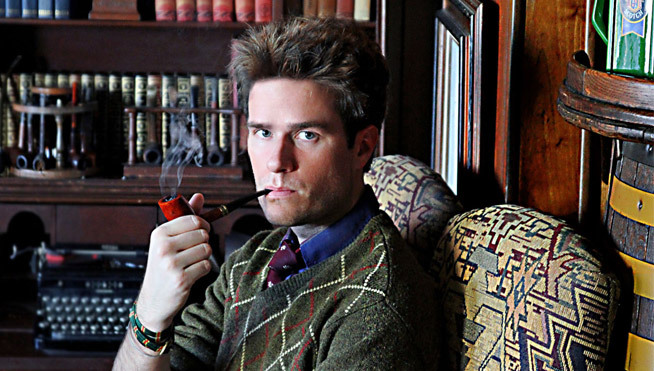 What is your personal definition of the phrase ‘preppy’. I refer to myself as “Classic American Effortless Elegance”. I do not deem myself “preppy” per say, but instead a man who seeks quality materials, craftsmanship, and well thought out design (which often times is recognized as “preppy,” as classic attire is almost always well-crafted). What are your 4 preppy essentials for fall/winter? – Quality Duck Boots for snowy, slushy days. How did the collaboration with Tommy Hilfiger come about? What do you have planned for the coming year? What does 2012 hold for KJP? Well here’s a couple sneak peaks. 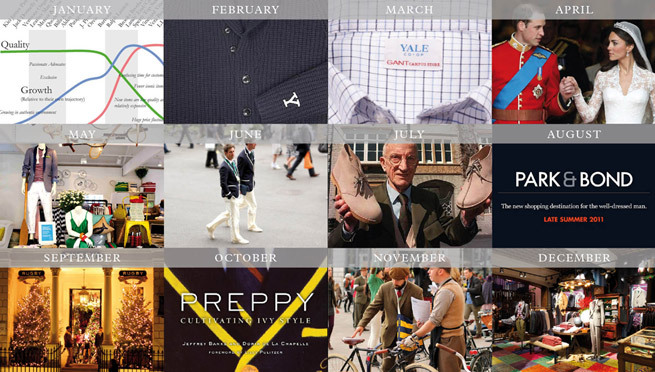 A factory, a campground, Polo Matches at Universities, and a new project called Trendyr. If you hadn’t become a designer, what do you think you’d be doing now? Probably go back to sea as a Pirate. What a great article. 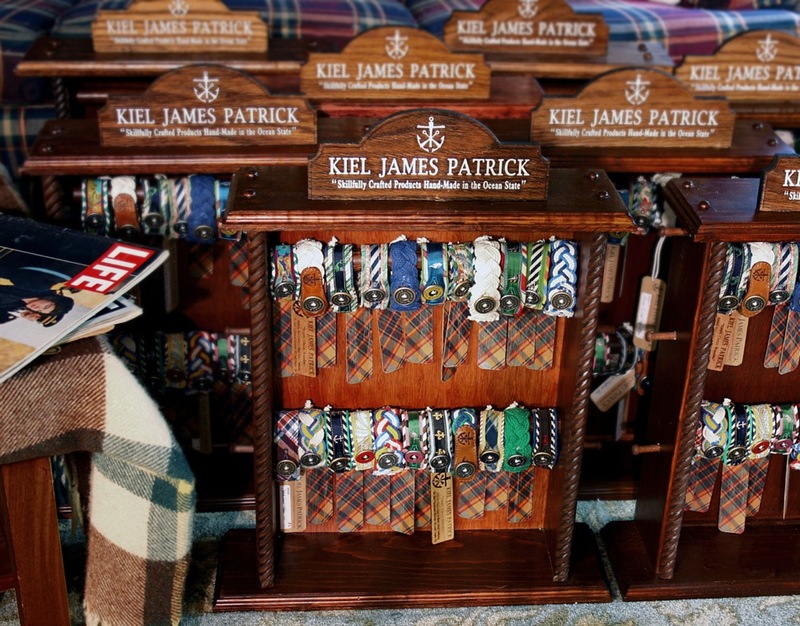 Found it via the KJP website. You are now added to my Google Reader! What a great interview! 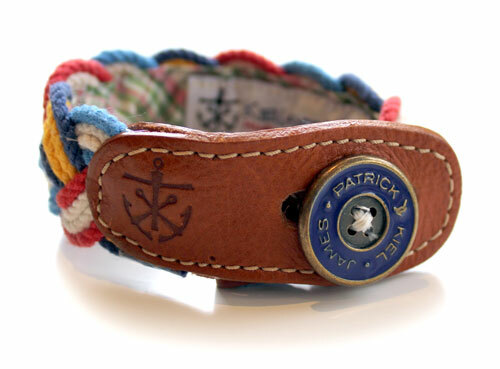 We love KJP and the nautical braceletes, we carry here at Coastal Urge.